I am very humbled at the chance to serve as your Police Chief. By providing a good quality service of law enforcement, our jobs as law enforcement officials are heavily dependent on how well officers perform in the eyes of the public. We will move forward in a positive direction for a better tomorrow. We will continue to run the police department as a business, and treat the public as our customers. It is incumbent on the Carencro Police Department to be a part of the community and not apart from the community. I look forward to leading the great men and women of the Carencro Police Department as we will continue to grow and become one with our community. Thank you again for allowing me to be a part of such a great community. Chief David Anderson has nearly three decades of law enforcement experience. In 1988, he began his law enforcement career with the Carencro Police Department. 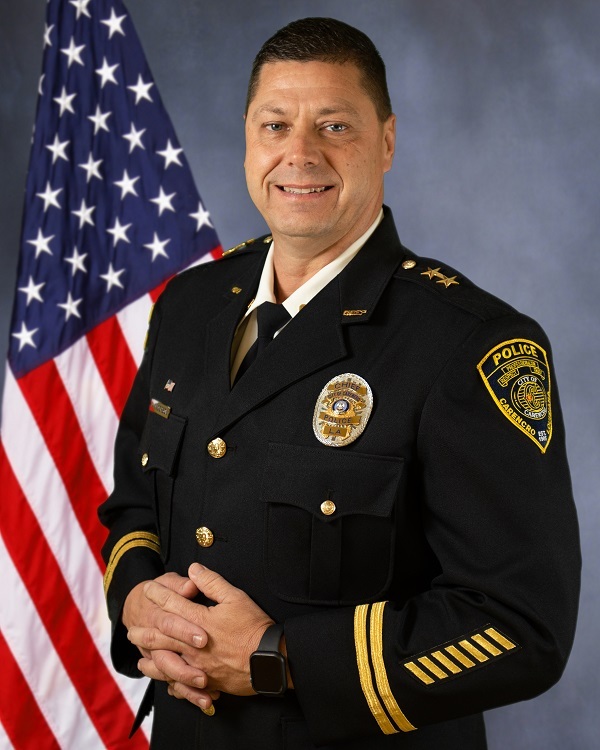 In 1989, he was hired by the Lafayette City Police Department where he served the citizens of Lafayette proudly until he was hired by the Louisiana State Police in 1999. During his tenure with Louisiana State Police, he had the opportunity to work and train in several roles: Patrol, Special Operations and Public Affairs as the spokesman for the agency. Anderson was promoted to a supervisory position at the rank of Sergeant and supervised a team of troopers. He has attended several law enforcement training schools, logging more than 3,900 hours of training. Anderson was honored to have been selected the Troop I Louisiana State Troopers Association Trooper of the Year for 2002 and again in 2015. He has been chosen twice by the Louisiana State Police Command Staff to represent Louisiana State Police in Washington, D.C. for National Police Memorial Week. On July 10, 2016, Sergeant Anderson retired from a spectacular career with the Louisiana State Police. On July 11, 2016, Anderson was appointed interim Police Chief for the City of Carencro Police Department. On January 11, 2017, Anderson qualified and ran unopposed for the Chief of Police position. Chief Anderson will complete the current term as the permanent police chief for the City of Carencro.